Starring: Jared Leto, Sarah Polley, Diane Kruger, Rhys Ifans, Linh-Dan Pham, Natasha Little, Toby Regbo, Juno Temple, Daniel Mays. Little known Belgian director Jaco Van Dormael – in only his third film in almost 20years – tackles the bigger conundrums of life, in the nature of existence, love and the life force surrounding us all. 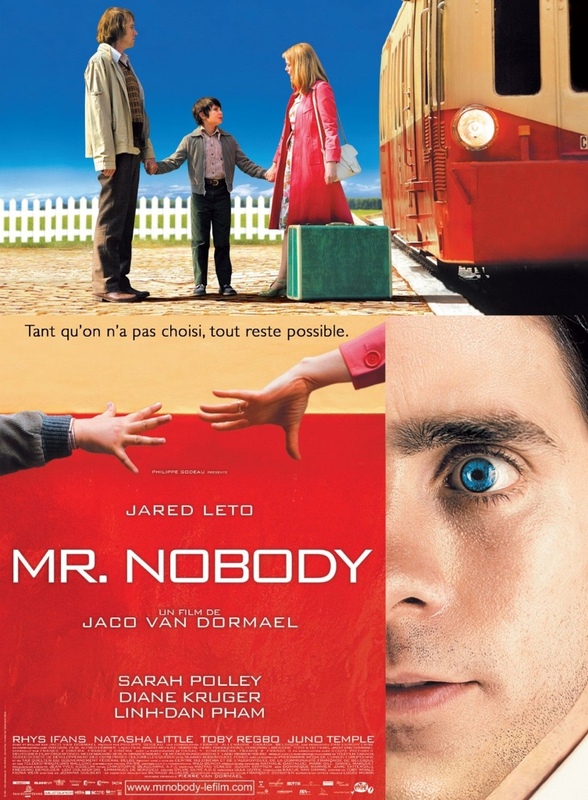 It tells the story of ‘Nemo’ (Jared Leto) the only human being left on the planet, that will die naturally, in the year 2092. Now 118years old, he is on his deathbed and relaying his life story to a young journalist. He goes back to when he was a young boy and forced to choose between his parents when they got divorced. Not happy with being put in that position, he chose both. This resulted in opening up alternate realities and infinite possibilities as we follow Nemo through the numerous choices he made (and didn’t make) throughout his life. Parts of the constantly changing realities are told from a childs eyes like Van Dormael’s superb debut “Toto the Hero” and full of visual flair and wonder. This is a highly creative European director making his craft more accessible to a wider audience. I just hope that a wider audience pays attention. The film is rich in it’s vibrancy and imagination and you dont get much more ambitious than tackling Chaos Theory, String Theory and the Butterfly Effect. Analysing the choices one makes in life and the eternal rippling effect it has; creating alternate realities and what could have beens; entropy and the randomness of our existence. Posing the question as to whether it matters in what we choose in life, as the other possibilities are just as valid and important. I could quite easily give this five stars for it’s sheer beauty and ambition but as I drifted a little throughout, due to it being slightly overlong, I’ve decided on my current rating. That is, until such times as I see it again. Then again, maybe I’ve seen enough to formulate my opinion but only time will tell, and time after all, is relative. If invested in, its very rewarding. This entry was posted on January 28, 2012 at 2:18 pm and is filed under Drama, Fantasy, Science Fiction with tags 2009. You can follow any responses to this entry through the RSS 2.0 feed. You can leave a response, or trackback from your own site. I had not heard of this before your mention in your 7×7 award piece. Congrats by the way. I’ve now got this on my list to watch. I’ll let you know what I think. Thanks John. It’s an interesting and challenging film. I hope you like it.